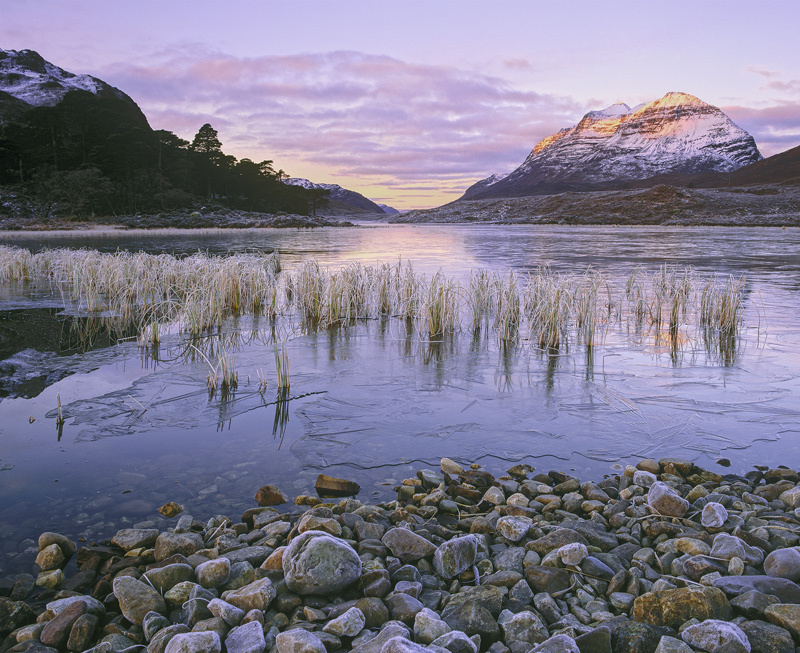 Another gorgeous frosty winter morning beside delightful Loch Clair awaiting a sunrise. The low water level has revealed much more of the loch stoneware than is usual which permits a position much closer to the line of reeds than is usual. I adopted a low viewpoint to make the most of the frosted stoneware and waited for the first rosy hues of morning sunlight to paint the snow capped summit of Liathach.